Form: Vase-shaped with majestic arching limbs; sometimes takes on a oak-like form. 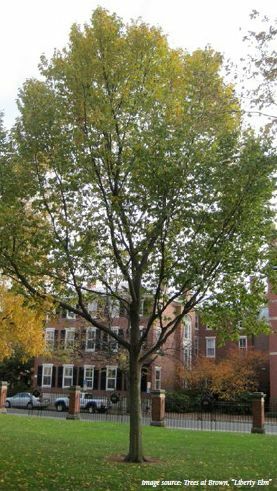 Use: Dutch Elm disease resistant varieties make excellent street trees for wide avenues and streets with planting strips greater than 4 feet wide. Limitations: Disease resistant varieties like 'Patriot', 'Princeton', 'Valley Forge', 'New Harmony' & 'Independence' should only be planted.